I will be out of the loop – as opposed to being just out of it – for the next little bit. I’m quite fond of that particular application of an NPN transistor. It reflects those enjoyable lab afternoons where nothing goes right for half of us. And it’s true! 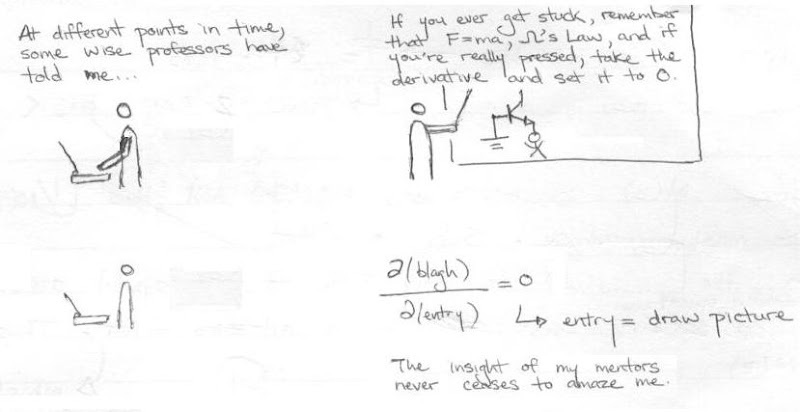 Taking the derivative and setting it to zero may be useful. At least writing stuff down may net you part marks. I’m keeping that in mind for the next five days. This entry was written by introspect, posted on December 12, 2007 at 9:06 pm, filed under meh-ta and tagged asides, cynicism, lame, meh-ta. Bookmark the permalink. Follow any comments here with the RSS feed for this post. Both comments and trackbacks are currently closed.